Item #AA-SJB-10: One dozen 2.5"x3.5" small silk jewelry bags with zippered pouches; assorted colors. 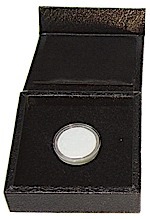 Item #AD-JL-10: 10X Jeweler's Loupe with case. Item #AA-JR-8: 8.25" wide x 11" long Brocade Jewelry Roll folded in thirds and tied with a tassel cord. Inner pouch and three zippered pouches to separate your jewelry. A slide with snap for quick ring selection. Assorted colors lined in white. Item #CN-1049: Connoisseurs All-Purpose Jewelry Cleaning Kit. Contains: 8 oz. jar of Delicate Jewelry Cleaner with dip tray & brush, 5"x6" Gold & Platinum Polishing Cloth & 5"x6" Silver Polishing Cloth. Safe for Coral,Onyx,Turquoise,Pearls and other gems. 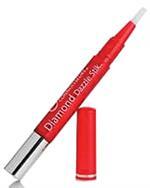 Item #CN-1050: Connoisseurs Diamond Dazzle Stik is a portable Diamond cleaner sized to fit in a makeup case or purse for home use or travel. This breakthrough consumer product makes jewelry sparkle like new, quickly, safely and effortlessly. 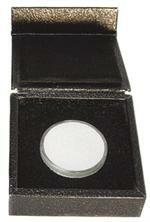 Item #CN-1051-6: Box of 25 2.87"x3.62" dry, disposable Connoisseurs jewelry wipes for Gold and Silver. 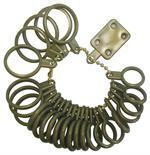 Great for travel and for use on copper and plated jewelry also. Item #CN-1029: 8"x10" Ultrasoft Silver Jewelry Polishing Cloth with inner layer for cleaning that applies an exclusive formula of precious metal cleaning agents & a long lasting anti-tarnish barrier. Outer layer polishes & buffs to provide a high luster. Item #AA-52-82602: 12"x12" Micro Fiber Gem Cleaning Cloth. Item #AA-LJB-16: One dozen 3.5"x5.5" large silk jewelry bags with zippered pouches in assorted colors. 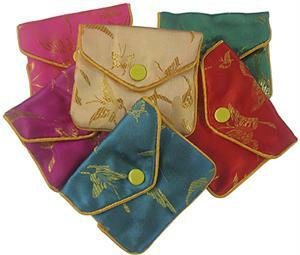 Item #AA-MJB-14: One dozen 3.25"x4.25" medium silk jewelry bags with zippered pouches in assorted colors. 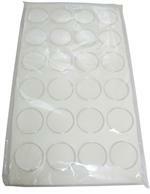 Item #SSW-FG-SZ-600: Plastic finger sizers. 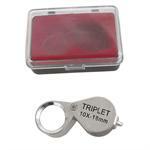 Measures from ring size 1 to ring size 13 in 1/2 size increments. Item #SSW-RG-SZM-600: Plastic ring sizer mandrel. Measures from ring size 1 to ring size 15 in 1/4 size increments.